For many years I used hackle, Coq de leon, pheasant, deer hair, moose hair, and a lot of other hair choices for the tails of my dry flies. When the artificial tapered nylon mayfly tail material became available in various colors, I switched to them exclusively for all dry flies. 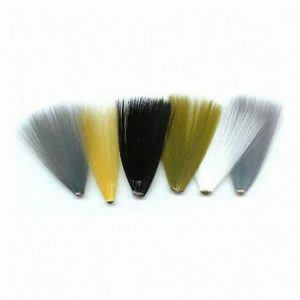 The material is buoyant and imitates typical dry fly tails extremely well. The survival of emerging duns long enough to molt and become “spinners” for mating is because they emerge in high numbers and many survive the feeding trout in very large numbers. This is the time when the water looks like it is “boiling” as the fish feed voraciously. Many of the massive numbers emerging eventually molt and become strong fliers and begin mating. Their life span then depends on the species I which often ends minutes after mating. This entry was posted in Clay Cunningham, Cody, Wyoming, Fly Tying Materials & Supplies, Our Regular Contributors and tagged fly fishing, fly tying, fly tying materials, trout fishing on February 7, 2019 by Clay Cunningham. This entry was posted in Clay Cunningham, Cody, Wyoming, Fly Tying Tips & Tools, Our Regular Contributors and tagged fly fishing, fly tying, trout fishing on May 7, 2018 by Clay Cunningham. Part of my career with the National Park Service included time as the Yellowstone Madison River sub-district ranger in the 1960s, the East District ranger in the North Cascades from 1970 to 1975, and the superintendent of Denali National Park and Preserve from September 1980 until March 1989. During the past 32 years I lived and worked where black and grizzly bears and bison and moose live. 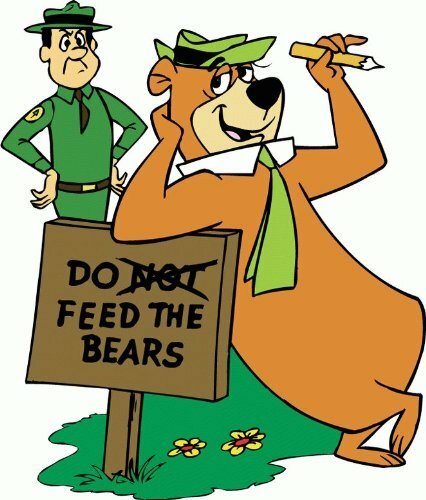 This article is what I learned from research, observations of animal behavior, speaking to mauled victims and having been personally charged by a grizzly on three different occasions. I was never mauled by a bear. This entry was posted in Clay Cunningham, Cody, Wyoming, Our Regular Contributors and tagged bear, fly fishing, grizzly bear charge on April 23, 2018 by Clay Cunningham.